Tuttle SVC: Is This What Happens When Nobody Studies Education Anymore? Is This What Happens When Nobody Studies Education Anymore? 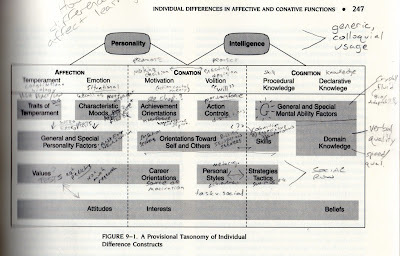 Above is a notated diagram from my copy of the 1996 Handbook of Educational Psychology. You see, even then as far back as the turn of the century we knew that the educational process involved a complex interaction of knowledge, skills, values, character traits, interests, relationships, styles, etc. Now, the particulars are always in flux and up for debate. And there is a constant tendency to over emphasize one aspect or another and turn it into a short-lived trend, or an individual fixation. That's to be expected. I can't really believe we're at the point where the hot topic in the education conversation is essentially rediscovering the affective and conative domains. Is this just what happens when teachers get to skip those boring educational psychology requirements? Does the entire profession just begin a 20 year process of wheel rebuilding, with big cheers all around when each spoke is recycled? We're under court order here in SF re: services to ELD students. This means an endless series of required PD sessions rushed through during common planning time and rare staff development days. The first one featured significant reference to Cummins' BICS and CALPs. I was the only one in the room of 100 teachers who knew what the acronyms stood for. 20 year intervals? Try 30. I can't tell you how many ESL classes I was forced to take during my total ten years in Arizona where I had to review BICs and CALPs at 4:30PM after teaching English all day. It was as if the entire field of second language acquisition had been reduced to a two-phrase fugue: BICs, CALPS, BICs, CALPS, BICs.... I realize, though, that these terms are now probably part of an ancient folklore that will someday be miraculously discovered by a reformer and used as evidence of how little teachers know about teaching. 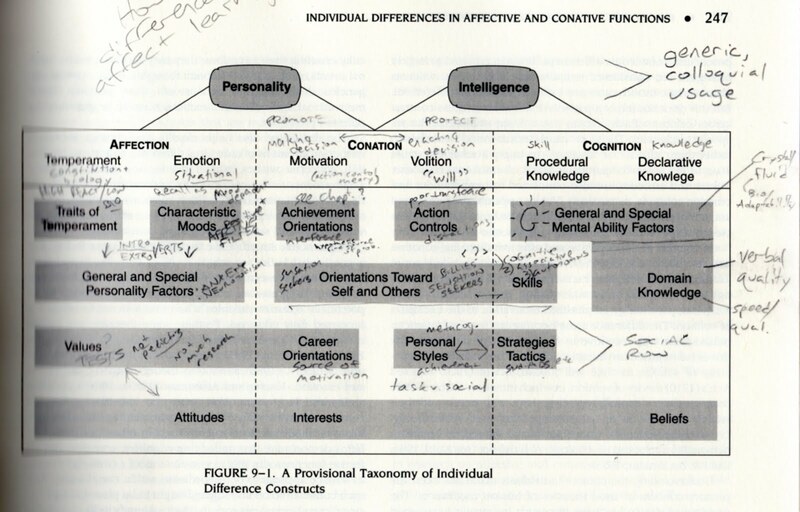 In any event, I've been away from the the professional literature and I hadn't realized that people were suddenly discovering the concept of the affective and cognitive domains. I only have a few years of employment left but I do so look forward to the required workshops. I feel that they will be the perfect opportunity for someone to invent a thing called the Venn diagram, and then hit me over the head with it.